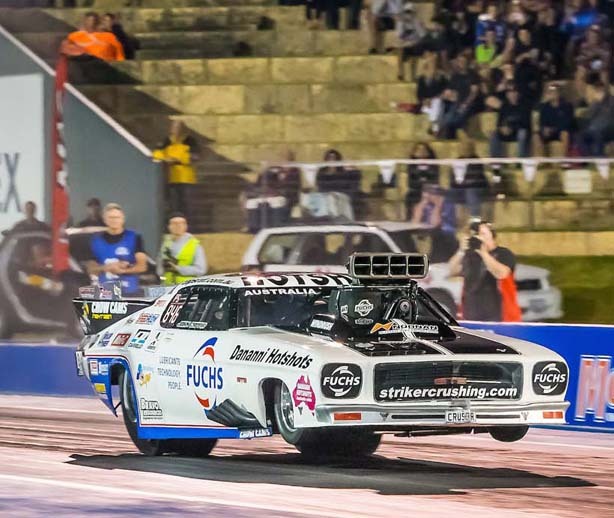 John Zappia has turned mad scientist recently with his Fuchs/Dananni Hotshots Monaro, testing a variety of theories in the Summer Slam Series at Perth Motorplex. 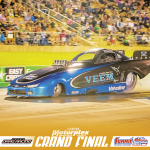 Using his third-in-line spare engine, Zappia reached the final of the last Summer Slam at the Nitro Heaven event before a lean condition in one cylinder resulted in a blown burst panel, allowing Mark Chapman to come around the outside for victory. 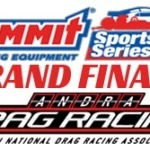 With the team able to test many different setups on the car at the last few events, Zappia will return at the ANDRA Summit Series Drag Racing Grand Finals with a brand new Noonan engine to combine horsepower with the four speed B&J Transmission. “We are quite excited to come out with the new Noonan motor for the Grand Final,” he said. “We are starting to get a handle on the four speed as well, so hopefully we can take the next step and aim for consistency and added performance. “More gears seems to be the way to go but we need to put more laps on it. When we were running for a championship we didn’t want to risk trying the four speed as we hadn’t done enough passes in testing. As we are in R&D mode we want to test as many different things as possible and hopefully we will find something better to take with us to Sydney for Nitro Thunder in May. 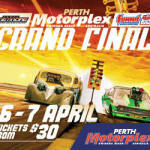 Zappia Racing is looking forward to seeing as many sponsors, supporters and fans as possible come out to the Perth Motorplex on April 6 and 7 for the Grand Final event, featuring the finals of the Summit Sportsman Series with many of the top eastern states sportsman racers competing against local racers for the championship.